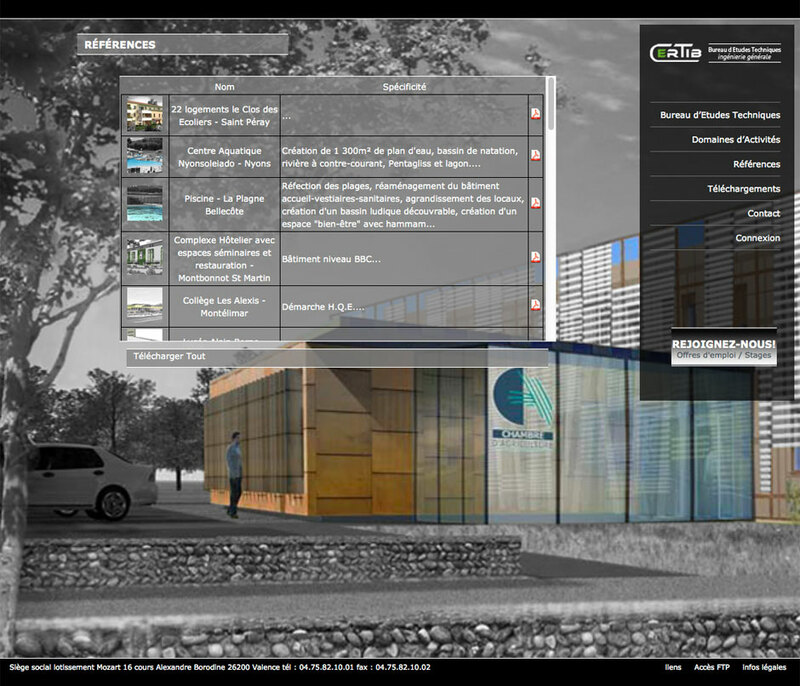 Certib is a Bureau of Technical Studies in Valence which existed for 25 years, bringing together all the expertise for the design, mastering Work of a building project meets the High Environmental Quality standards. Certib has the rare distinction of having in-house all the necessary knowledge-how from design to realization. 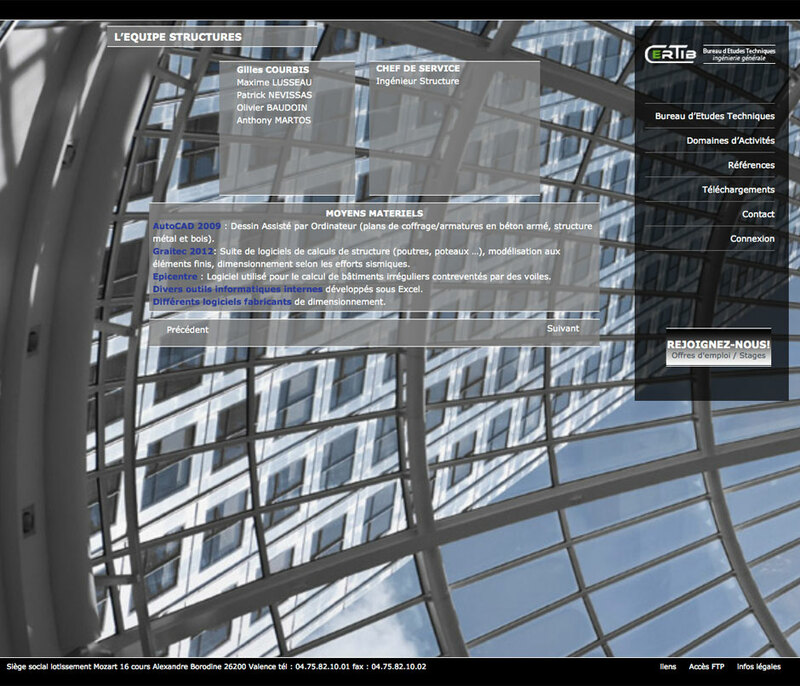 A double use in his project: a relational function with respect to institutional, architects, etc …. one hand, and a function of exchange platform with partners throughout advanced of the other projects. 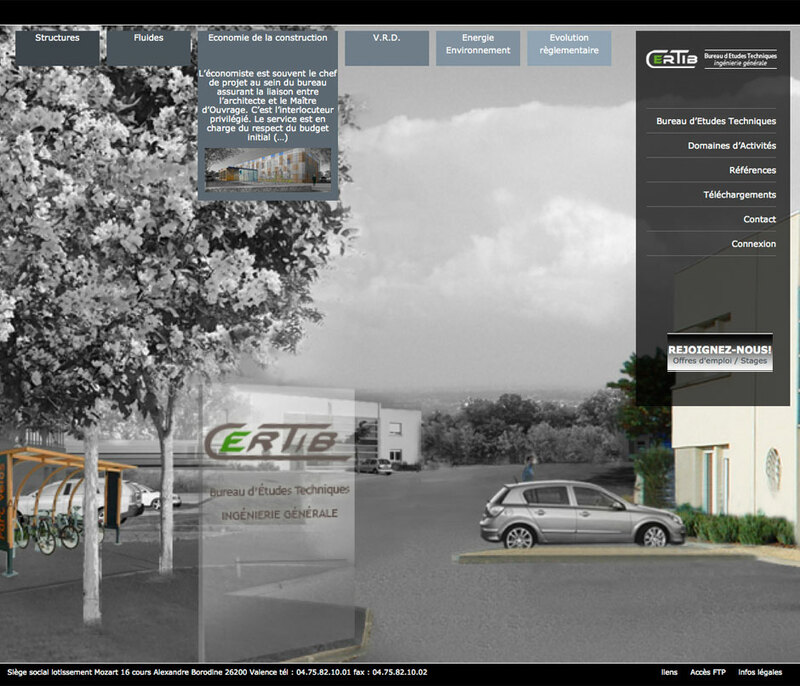 Design & intégration of the website. Marketing video about activities of the guest. An automatic Certib references generation system based on a more or less high level of confidentiality, with individualized access. Controlled access for viewing and loading PDF of the latest regulatory update.